Will Street Fighter V finally give people a reason to start building/buying Steam Boxes? Valve's SteamOS operating system is a great idea marred by the fact that, well, it doesn't really support that many games (AKA: The Mac Problem). It's one of the main reasons why its Steam Machines haven't really taken off. But, Capcom has just announced that Street Fighter V, one of the most anticipated releases of 2016 and arguably the biggest fighting game around, will fully suppport the OS, as well as the Steam Controller. "We are working closely with Valve on this endeavor, and will have more details to announce in the near future, so stay tuned for updates," announced Capcom in a blog post. It added that the upcoming Street Fighter V beta, that will take place December 18 - 20, will be fully compatible with the Steam Controller. This is great news really for everyone involved. I love SteamOS in theory but there just isn't enough support right now to justify building a dedicated Steam Box. Tournament organizers will be especially pleased knowing they can throw together inexpensive PCs to run the game for tournaments, rather than having to shell out for PS4s. As for the Steam Controller? I doubt it will replace the traditional fight stick, but it's worth seeing how it holds up. 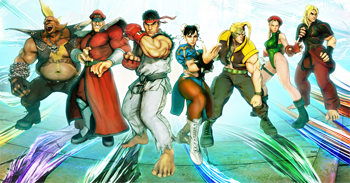 Street Fighter V releases in 2016 for the PS4 and PC.